The ongoing Japanese nuclear crisis underscores yet again the risks inherent in this essential energy source. But it should not divert nations from using or pursuing nuclear power to generate electricity, given the threat from climate change, the health hazards of fossil fuels, and the undeveloped state of renewable energy. Instead, the events at the Fukushima Daiichi Nuclear Power Plant should turn more attention to ensuring that nuclear power plants meet the highest standards of safety and protection against natural disasters. More than 30 nations have commercial nuclear power plants. A further two dozen are interested in having them, including several in earthquake risk areas such as Indonesia, Malaysia and Turkey. Some nations are pro-nuclear for energy security; some for prestige. Others, including Iran, have invested in nuclear power because they may want the capability to make nuclear weapons. These nations are seeking to acquire uranium enrichment or reprocessing technologies: useful either for producing fuel for peaceful nuclear reactors or fissile material for nuclear bombs. Although some national leaders profess to be interested in nuclear energy because operating plants do not emit greenhouse gases, this is usually a secondary motivation. If it were their primary concern, nations would invest far more than they have in measures such as energy efficiency and solar and wind technologies. The Japanese crisis has affected three important criteria: public opinion, safety and economic costs. Governments and utilities have had to grapple with these for decades. Now they must renew their efforts to finance expensive nuclear projects and ensure that existing and future nuclear plants maintain the highest standards — and must be seen to do so by the public. Building nuclear power plants has always been expensive. For a large reactor with a power rating of 1,000 megawatts or greater, the capital cost ranges from US$4 billion to $9 billion depending on reactor design, financing charges, the regulatory process and construction time. The recent nuclear crisis is likely to change all of these, pushing up costs. Contemporary plant designs — ‘generation III’ — have better safety features than the 1970s-era generation II designs for the Fukushima reactors, making them more expensive. Some, such as the AP1000 designed by the Westinghouse Electric Company, headquartered in Cranberry Township, Pennsylvania, have passive safety features that do not require technicians to activate emergency systems or electrical power to ensure safety after a mishap. Others, such as Paris-based Areva’s EPR, have advanced active safety systems designed to prevent the release of radioactive material to the environment. Further designs, such as the pebble-bed modular reactor, may prevent nuclear fuel from ever experiencing a meltdown. Concerns were raised about the Fukushima designs as early as 1972, the year after reactor unit 1 began operations. But the nuclear industry opposed shutting down such reactors because 32 were in operation worldwide — about 7% of the world’s total. Almost one-quarter of the reactors in the United States are of this type. The remaining plants of this design should undergo a thorough safety review and, as a result, some may need to close. Since the crisis began, several governments, including China, Germany and Switzerland, have called for increased scrutiny of their plants and a moratorium on plant construction until plant safety is assured. Germany has also shut down its seven oldest reactors. But phasing out nuclear power worldwide would be an overreaction. It provides about 15% of global electricity and even larger percentages in certain countries, such as France (almost 80%) and the United States (about 20%). Eliminating nuclear power would lead to much greater use of fossil fuels, and raise greenhouse-gas emissions. It will probably take at least a few decades to massively scale up use of renewable sources. Meanwhile, nuclear plants can bridge the energy gap. So governments need to take practical actions to improve nuclear safety. All new nuclear plants should have enhanced safety systems, and plant designs that eliminate or substantially reduce the risk of a meltdown of fuel should be developed. Existing plants deemed to fail improved safety standards should be retrofitted or, when necessary, phased out. Further, governments must force their nuclear providers to remove spent fuel — typically after five years of cooling — from storage pools and place it in dry cask storage. As the world witnessed, spent fuel in the overcrowded above-ground cooling pools at Fukushima Daiichi became exposed to the air. If spent fuel catches fire, radioactive materials can be widely dispersed. Because of decreased public confidence following the Japanese accident, governments and industry must have an honest conversation about the role of nuclear energy in meeting consumers’ electricity demands, the typically high safety record of almost all plants and the risks of this technology. These discussions must implement one of the primary lessons of the Japanese accident: that officials should dramatically increase transparency of nuclear operations. Simultaneously, nations need to invest far more in renewable energy sources, which offer the path to a truly sustainable global energy system. Charles D. Ferguson is President of the Federation of American Scientists and an Adjunct Professor in Georgetown University’s Security Studies Program. Trained as a physicist and nuclear engineer, he has worked on nuclear policy issues at the U.S. Department of State and the Council on Foreign Relations. 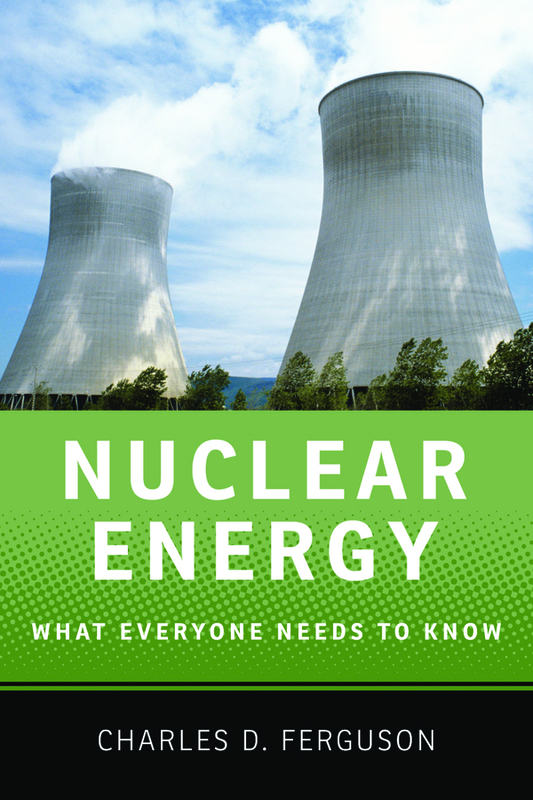 He is author of the forthcoming book Nuclear Energy: What Everyone Needs to Know. This article originally appeared on Nature. Oh, no, don’t phase out nuclear power yet. My lettuce isn’t glowing brightly enough yet. All my children haven’t come down with cancer yet. Let’s wait until weve had 4 or 5 more diasaters and hundreds of millions of people have been hurt by it. Oh, no don’t start now to phase it out.